When dog's pee blood, or bloody drips, it is a common thing for owners to ring up and ask for a course of antibiotics. After all, that is what happens with us when we go to our own GP, isnt it? The problem lies with our dogs, is that whilst they can get urinary tract infections (UTI's ) very easily, by the time their signs are seen by the pet owner, it has become a little more complicated. Kidney, ureter and/or bladder stones are all very likely complications. Antibiotics will not help this at all. Underlying causes such as kidney disease or diabetes are also possible, and will need to be screened for via urine tests. Again, antibiotics alone wont solve the problem. We also need to eliminate other causes of bloody pee, such as prostatic infection in undesexed male dogs, and bladder cancers. 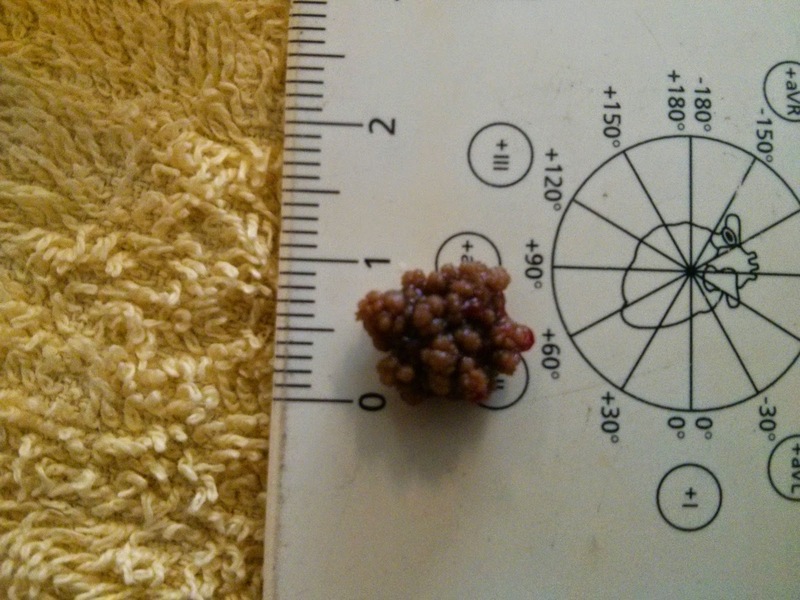 This post, however, is all about bladder stones. 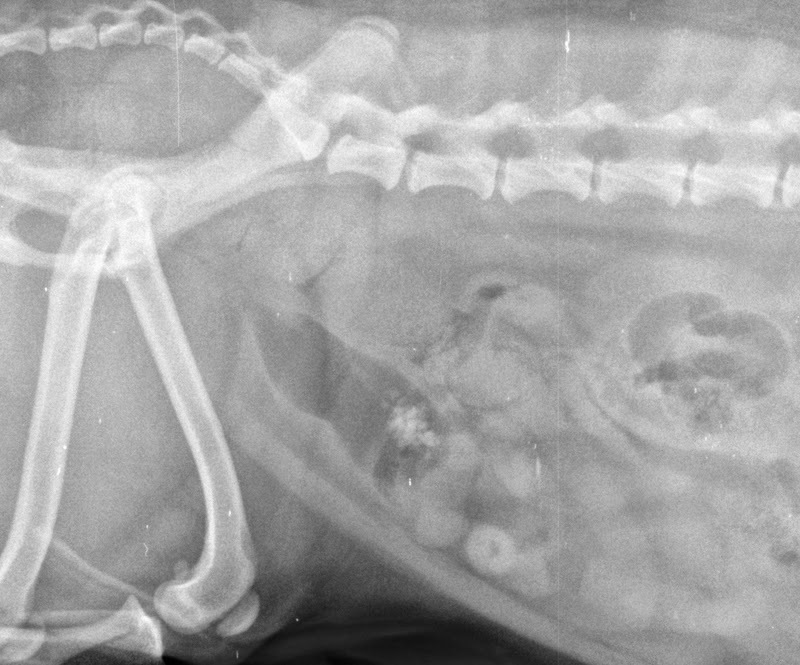 Bladder stones are still the most common urinary tract stone we see. Whilst there are five main types of stones, the two most common ones we see are Struvite and Oxalate. Struvite and Calcium Oxalate, and the uncommon Silicate stones will show up easily on radiographs, whereas the Urate and Cystine ones do require an ultrasound to visualise them. white is the "sand" or "crystals"
What are the signs you'll notice? 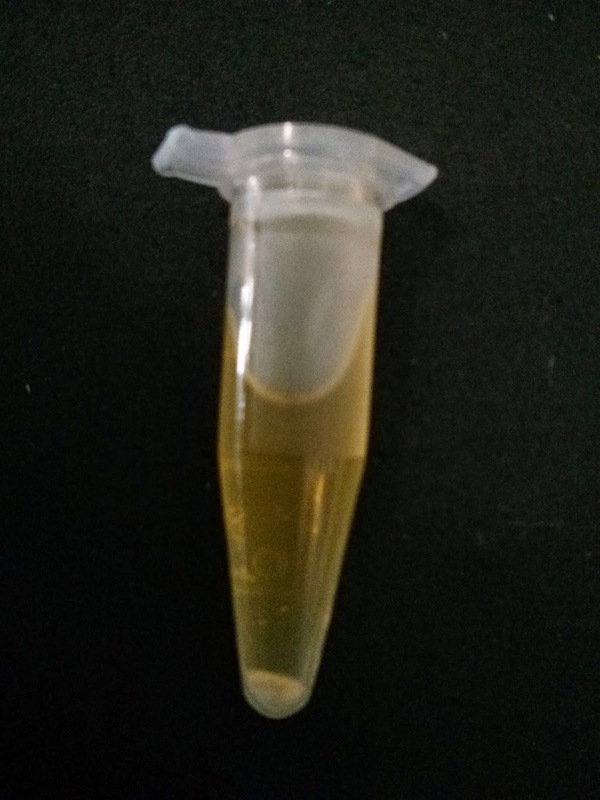 A urine sample is needed to check for blood, pH and the concentration. We can often rule out kidney failure or diabetes at the same time too. When we spin the urine down, we often see "sediment" which looks like white sand at the bottom. We then examine the sediment under the microscope. The problem is, just because a dog is passing struvite crystals, and has bladder stones, does not mean that the stones will be struvite too. Struvite crystals from a cat. 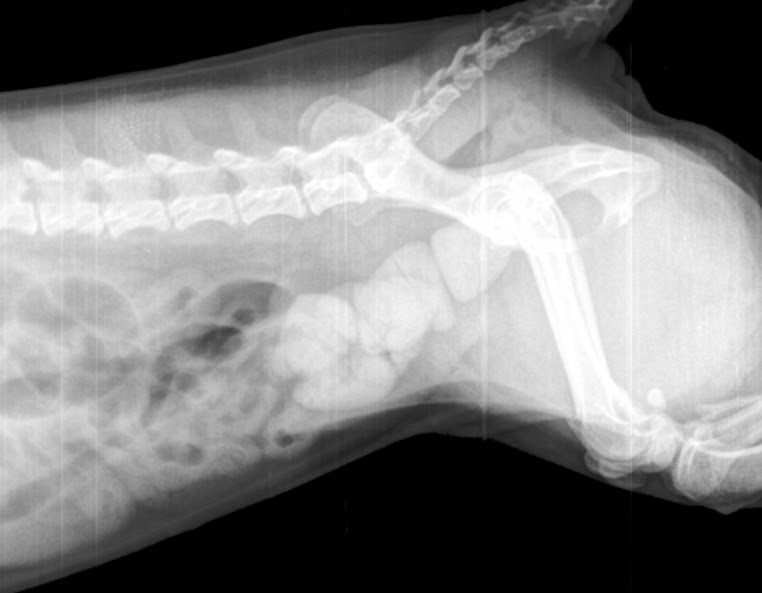 There are many factors that we, as vets, consider, when we have a dog with a bladder problem. The two important things in the early stages are 1. pH of the urine 2. Radiographic appearance. For example, Bipsy's urine had a pH of 9, with big white marbles in the bladder - these are more likely going to be Struvite. And Sulu, with a pH of 7 with a lot of little ones, are likely to be Calcium Oxalate. white stones in the bladder. Obviously, the next thing we do, after we collect a urine sample, is to perform an abdominal radiograph. With Bipsy, you could feel the stones - it literally feels like a bag of marbles. With Sulu, you can't feel them on palpation. We could hope for the best, and put them both onto a dissolving diet (hoping that they were struvite crystals). It would take many months for the stones to dissolve away, and the dog would need to be on antibiotics the entire time. As the stone dissolves, any bacteria that was within it, also comes out and can cause ongoing problems. 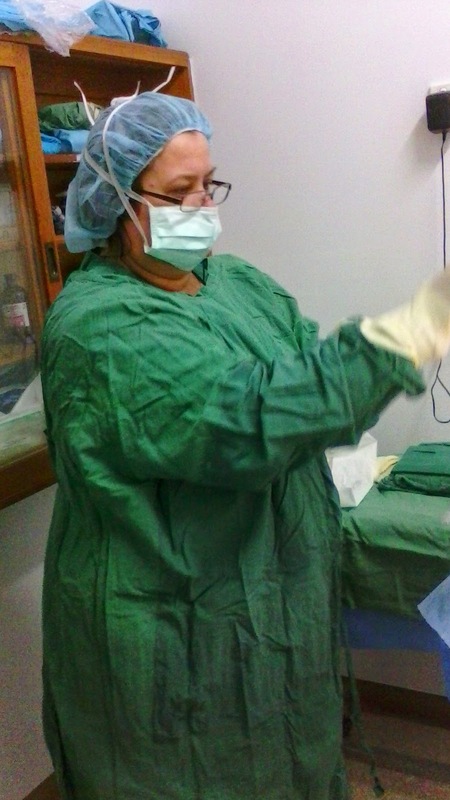 The quickest and best solution is to perform a surgery to remove the bladder stones. Whilst it does involve an anaesthetic, and the potential complications of surgery, it is the fastest way of getting both Bipsy and Sulu (and any pet with bladder stones) back to normal. It means that we can collect the stones and send them away to be analysed. These were some of the stones that Bipsy had. This is 100% struvite. Both dogs have had surgery, and are now fully recovered. Now that we know what the stones are, we can recommend the ideal diet or medications to prevent recurrence. 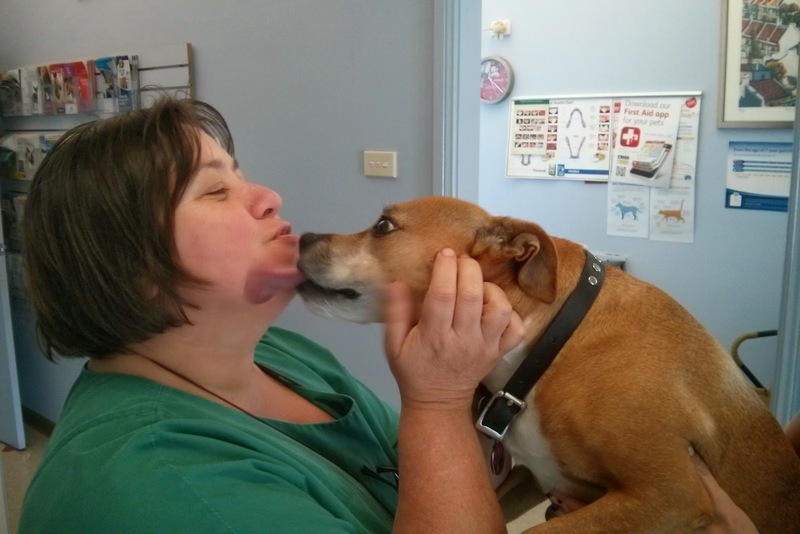 We thank both Bipsy and Sulu (not their real names) and their families, for trusting in us at Russell Vale Animal Clinic. Any questions? You can always ask via email or comment below. Thanks to Lillie for my free face wash the other day!